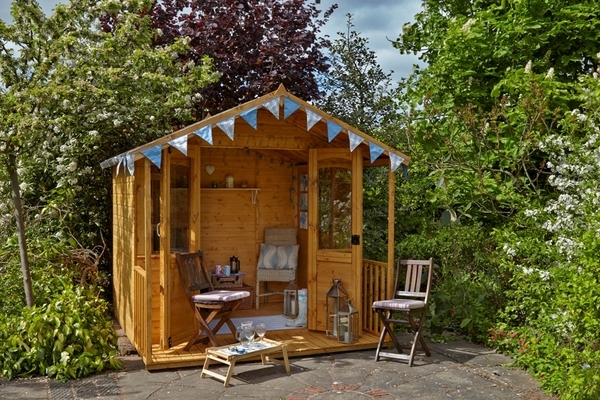 The charming Hollington is a stylish and spacious 8x8ft summerhouse a larger version of the Maplehurst which features an integral wooden covered veranda which provides shade whilst adding a lovely decorative feature with balustrades to either side. 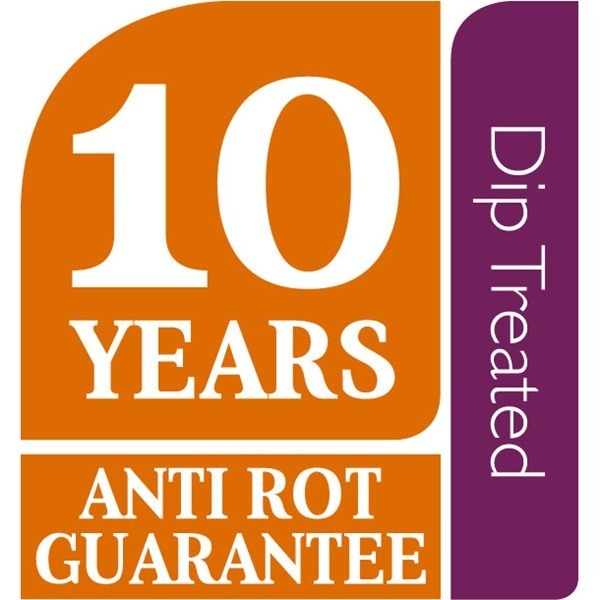 Manufactured in the UK by craftsmen with high quality shiplap timber this offers extra protection from the wind and rain, dip treated for long life and a factory applied surface finish gives a traditional rustic look in your garden. 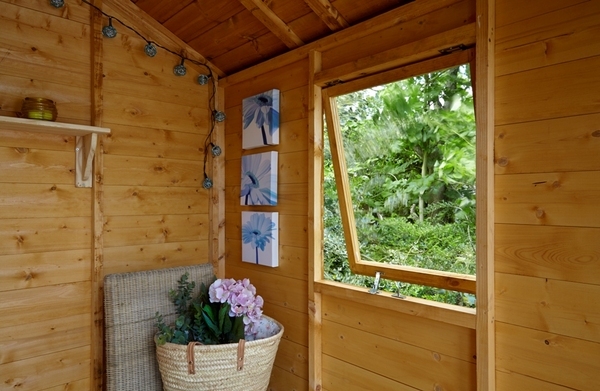 Natural light floods in through half glazed double doors and two windows to the front creating a light airy feel inside the Hollington Summerhouse which creates the perfect garden sanctuary for relaxing painting or crafting. 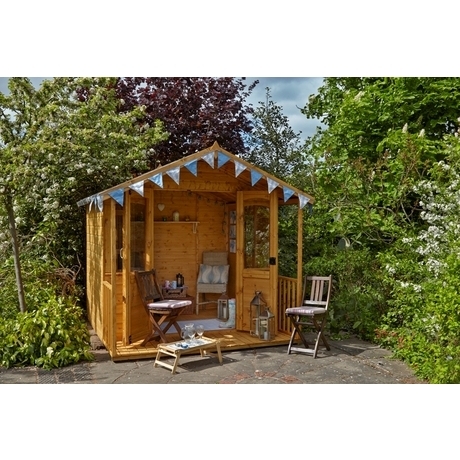 Manufactured from FSC certified timber sustainably sourced. Double doors half glazed for easy access with rim lock and key for increased security. Styrene windows with an opening window on one side safety glazing through out for peace of mind. Finished with factory applied surface dip treatment. 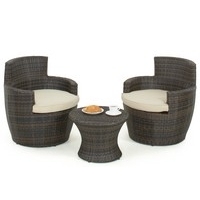 Black sand felt roof covering included. 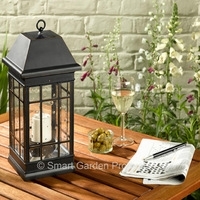 Supplied with all fixings and fittings plus comprehensive assembly instructions. 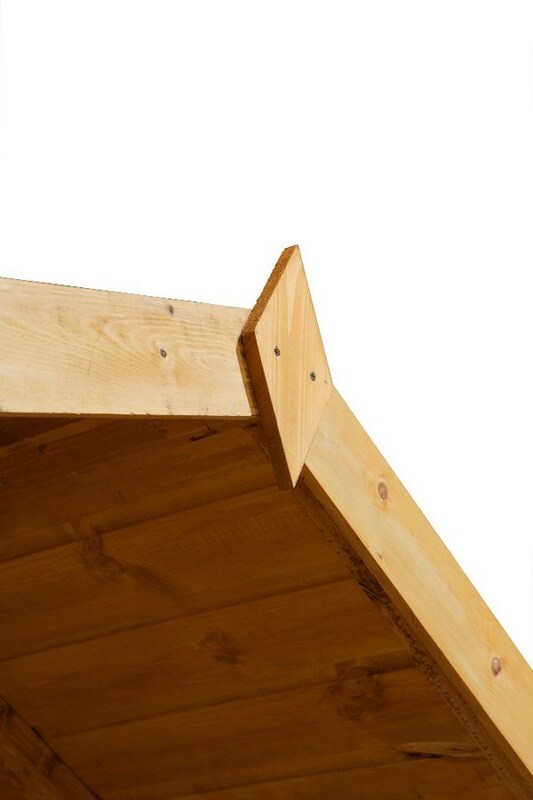 Shiplap: 12mm interlocking tongue and groove boards. 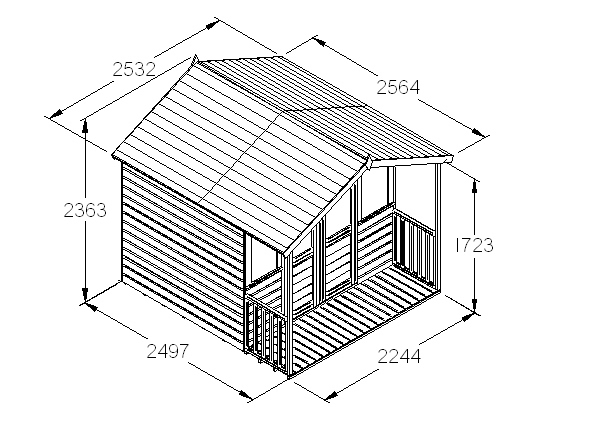 On site professional assembly is available for this summerhouse please select above option for fully assembled price other wise supplied flat packed for self assembly. NB Within 48 hours of delivery a forest instillation service provider will contact you to arrange an assembly date with in the following 7 days. Sorry, home assembly is excluded from the following postcode areas: BT, GY, HS, IM, IV, JE, KA, KW PA, PH, PO, TR and ZE. Please contact us if you need further information.